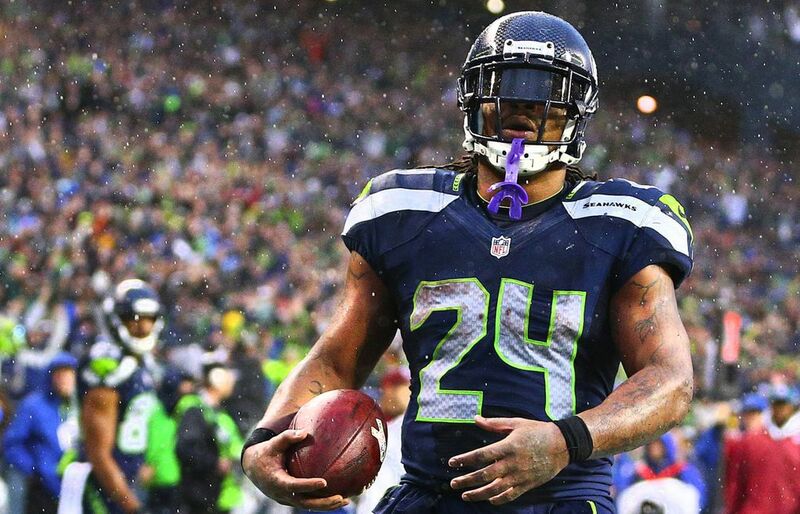 Marshawn Lynch is no longer with the Seahawks, but he is not entirely gone. Does he still mean something? 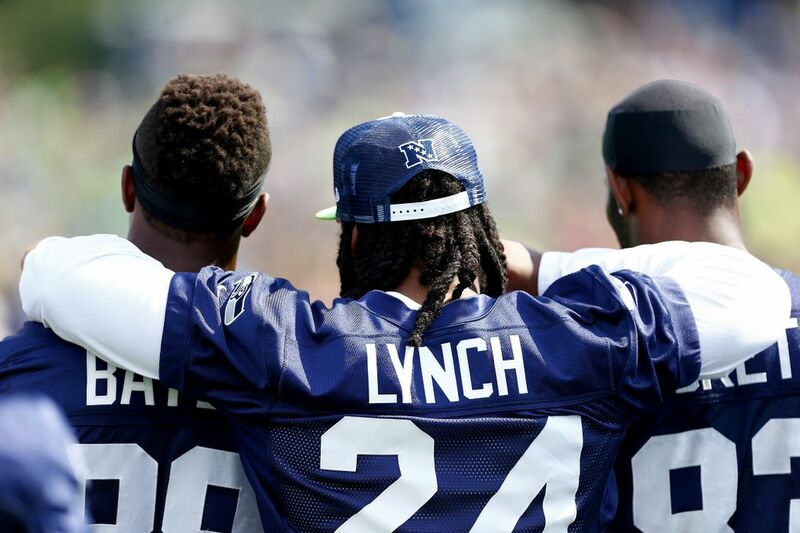 We spoke with some of his former teammates and they shared their favorite Lynch stories. 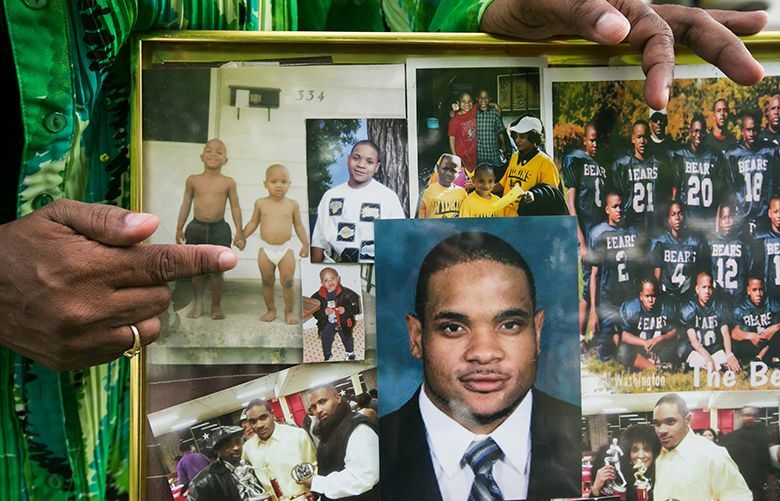 This all started inside a modest apartment in Flint, Mich. That’s where Thomas Rawls’ mom, Deadra Whitley, told the first Marshawn Lynch story. The first time she met Lynch, she kept reminding herself to keep it together. She hugged him, told herself not to squeeze so tight, then asked for a second hug. She told Lynch he could call her Dee; he refused. “I’m calling you Momma,” he said. But that’s not the best part of the story. After the Seahawks signed Rawls as an undrafted free agent, she kept asking if he’d seen Marshawn. When Lynch arrived, he didn’t say anything. Just watched. Finally, he came up to Rawls. “I see it in you,” he said. When Deadra surprised Rawls with a visit later that year, Lynch told her not to worry about her son, whom she calls Ty. 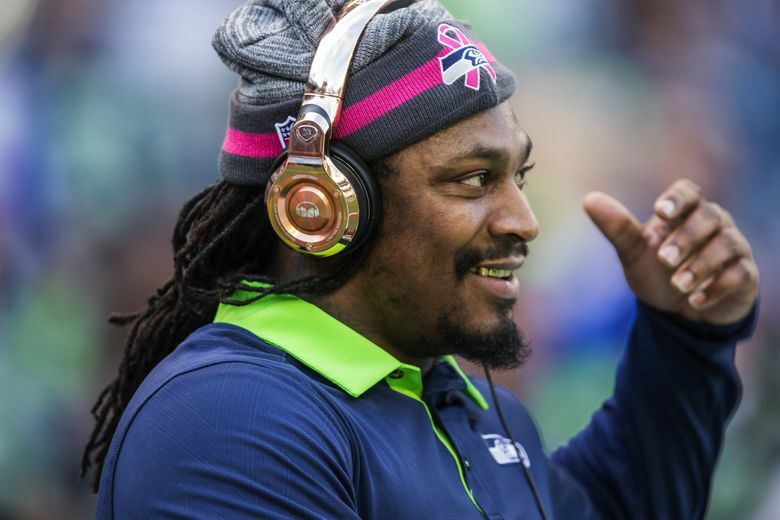 Lynch is no longer with the Seahawks, but he is not entirely gone, either. He keeps popping up. I’ll explain what I mean after one more story. A few weeks after Deadra Whitley told her Lynch story, former Seahawks receiver Ricardo Lockette told his. Both were unprompted. 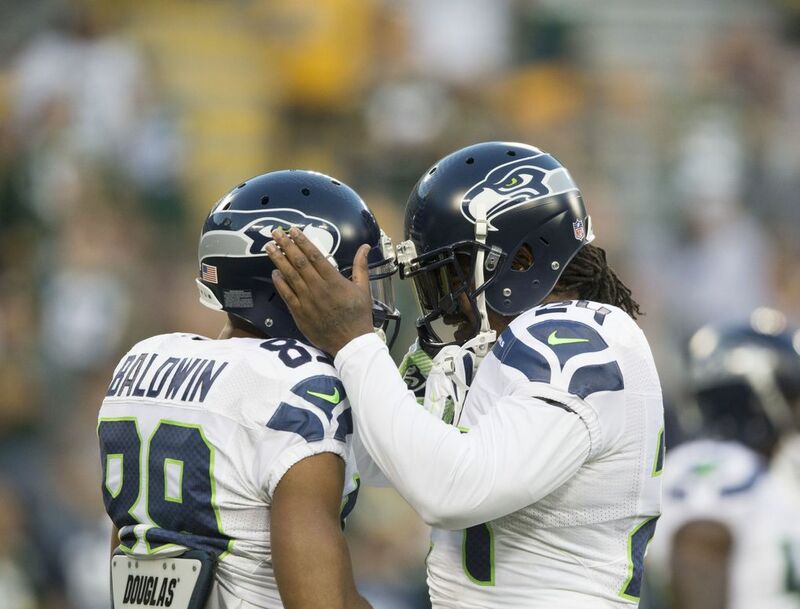 So I wondered if players in the Seahawks’ locker room also had Lynch stories. Did he still mean something even in retirement? I told every player I talked to what I’d heard from Deadra Whitley and Ricardo Lockette and asked if anything came to mind. That’s all. Remember how this started? One of the first Lynch stories was from Lockette in a Dallas hospital room. 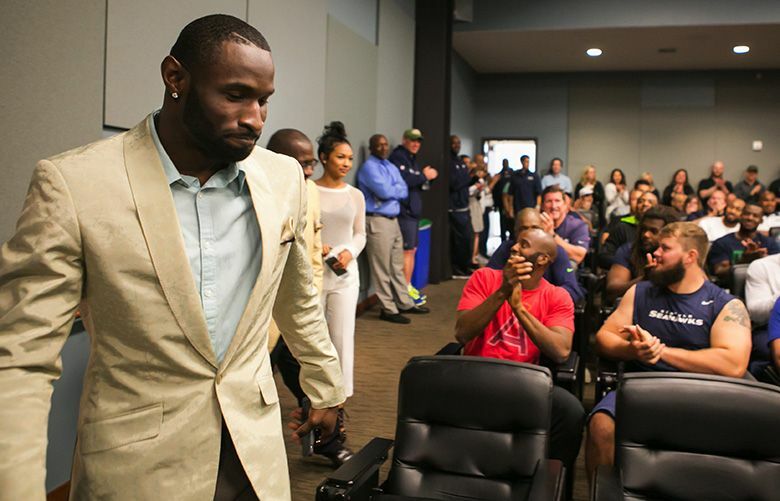 But even Lockette didn’t know the full story. “What Ricardo didn’t know is that Marshawn peeked in the room and saw he was in there, in the bed, strapped down, couldn’t move, and he cried like a baby. Marshawn did. I won’t tell you everything he did, but he took a couple steps back and soaked those tears up, and he went in there and made my son feel like he could run and jump. Lockette’s family sat in that hospital room sad and afraid. They didn’t know what was going to happen to their son. He had never looked so vulnerable. But then here came Lynch, cackling and making jokes, and the Lockettes swear the mood in the room changed, which leads to one final story.